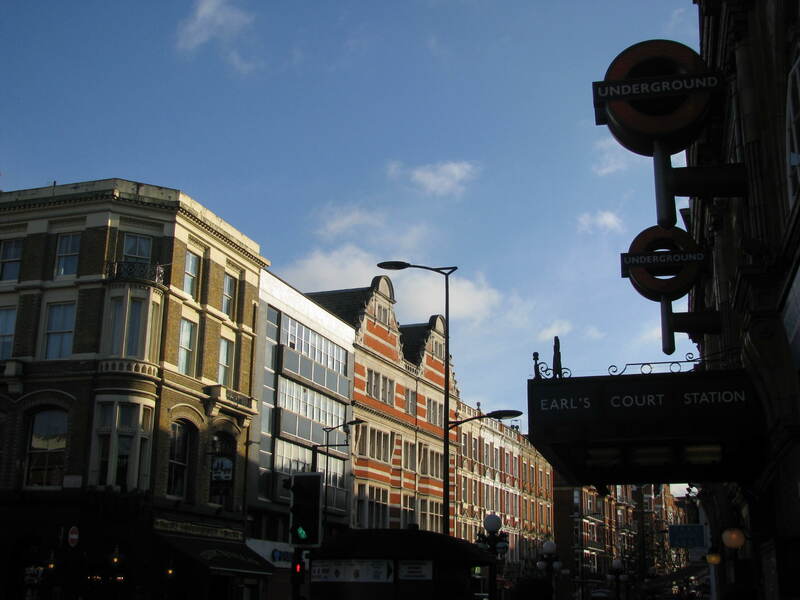 My new hood, Earl’s Court is a district in the Royal Borough of Kensington and Chelsea in London. It is bordered by Chelsea, South Kensington, West Kensington, and Kensington. Freddie Mercury, Diana, Princess of Wales, and Alfred Hitchcock at one point called Earl’s Court home. Five hundred years ago, the area was mostly rural. However, the construction of the Metropolitan District Railway station in 1865-1869 changed the area for good. The twentieth century saw several different populations move into the neighborhood. After World War II, the area was nicknamed ‘The Danzig Corridor’ since a number of Polish immigrants moved into the area. The 1960s brought a wave of denizens from New Zealand and Australia giving rise to the nickname ‘Kangaroo Valley’. The nickname still lingers today, however many of them have moved further away from the center of London. 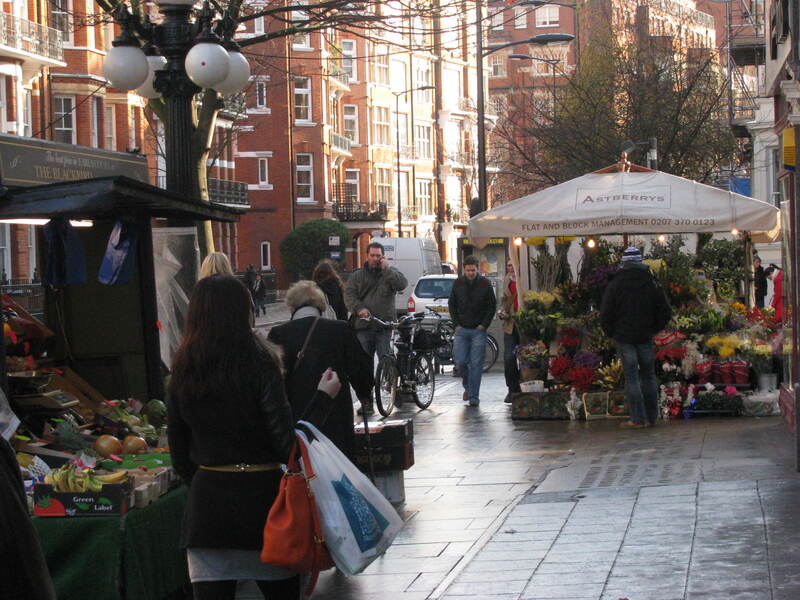 There is a large Filipino British community in Earl’s Court Village. The area has quite a few Asian restaurants and Filipino supermarkets. In addition to Mercury, Princess Diana, and Hitchcock, many other famous people lived in the area. Some of them include Howard Carter, the English Archaeologist who discovered the tomb of Tutankhamun, Edwin Arnold, an English poet and journalist, Dame Ellen Terry, a Shakespearian stage actress, and Norman Lockyer, an English scientist and astronomer who discovered the gas helium. This isn’t a complete list but it gives you an idea. 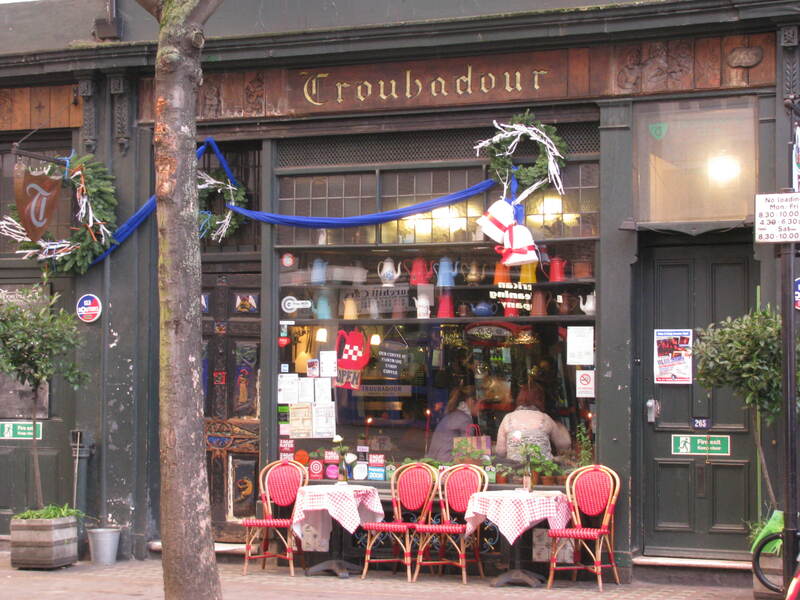 For music fans, the coffee house, The Troubadour, has a small music venue and since the 1950s, Jimi Hendrix, Bob Dylan, Elvis Costello, and others have performed there. In 2009, the cafe won the Best UK Cafe Award from Les Routiers UK. I haven’t visited the addresses of all of these people and places yet, but I plan on tracking them down. As I do, I will share photos and what I learn. I’m excited to get to know London and my new neighborhood. This is an exciting place. This entry was posted in London and tagged 50 Year Project, Alfred Hitchcock, Bob Dylan, Earls Court, Elvis Costello, England, English History, Flats, Freddie Mercury, Jimi Hendrix, Kangaroo Valley, London, Princess Diana, Royal Borough of Kensington and Chelsea, The Danzig Corridor, The Troubadour. Bookmark the permalink. You would love the cafes and pubs…so many places for you to observe people and write! I’ll do my best to share more photos. You would love it here Nia. So many things for you to photograph. And there are a few cats in my neighborhood that are beautiful. Have a wonderful weekend. well you certainly live in an interesting area! love the pictures! there’s so much history to be seen in England, I am sure you will photo all of it that you come by! I am loving the history here! I try to take as many photos as possible but there is so much to see! Looking forward to all your future photos and writeups. You always make it so interesting!! Ah that is very nice to say. Thank you! I love it here and yes the coffee house is pretty cool! It’s looks like a great area, loads of things to discover. I’m not sure I’ve been there but I haven’t been in London for a while. At least 6 years, I can’t remember all of it. The café looks very nice. London is big so I’m not surprised you can’t remember it all. I’m still bumbling around finding my way to places. I love how much there is to discover and there seems to be something for everyone. I’m really pleased with the area. I’m looking forward to my adventures! What a cool place to live – and create! Thanks Hook…it will be fun to explore! Looks like a great area to live in! I haven’t seen London in 12 years, but it still looks amazing. So far I am loving London. The city has so much to offer and I hope to see a lot of it during my time here. Pretty cool and fascinating! Nice to see and learn about where you live now. I’m trying to be more proactive this time about learning about the city I live in. I don’t want to miss out. I visited Earl’s Court when I was in London last summer. Such a lovely place to be. I can’t wait to go back. It is a fun place! Hope you get to visit again soon. Don’t leave the UK without leaving London! What a beautiful place, it’s like cultural eye candy! Looks like you’ll have a lot to explore in your neighborhood for a long time to come. Was there a reason you picked this neighborhood to live? There aren’t a lot of rental places available that allow pets. We didn’t have a lot of choices and the apartment is nice. I will do my best to share Novroz. And I hope you can visit England! You would love it! The neighborhoods here are cute, but it is odd living in the city. It is always so busy. But I love it…so much to see. Of course who knows, in the future I might want to live to a quieter place. Oooh, that’s a great area of London. I am sure you will enjoy staying there and I look forward to looking at your lovely photos. Thanks Niki. So far I am loving it here! I’m loving the diversity here! It makes it so much more exciting and fun. I wish your friends luck with completing their degrees. That’s awesome! I like it. Can’t wait to visit someday! It all looks glorious. I’ve mentioned before how great a place it looks like for walking around in and I’m thrilled for you! Thanks Carl! I couldn’t be happier!